There are countless apps we can use to get our shopping fix. However, none are quite like RIGit, the new genderless shopping app. It aims to provide a safe shopping space and help people express their true selves with fashion, and we are SO on board. When you download RIGit, gone are the days of defining your wardrobe by choosing “male” or “female.” Instead, you can just browse what speaks to you. 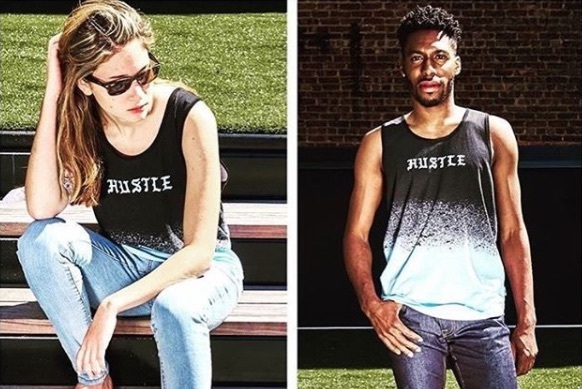 Honestly, we’re surprised a genderless shopping app like this didn’t exist sooner. Earlier this year, Yelp released a gender-neutral bathroom search function in support of the trans community. Genderless baby names growing in popularity. And now, shopping for genderless clothes with RIGit is another great step. RIGit was created by April Mellas, 32, and Amy Bender, 51. The two met when Bender was hired to help with a project at Mellas’ nonprofit office, and the rest is history, as they say. “At some point, we met over lunch and started talking about how we thought it was insane that there was no shopping outlet where you didn’t have to choose a gender to begin,” Bender told Teen Vogue. Amy and April want everyone to feel welcome using RIGit. 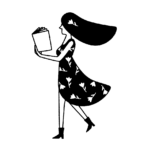 The app is both practical and fun to use. 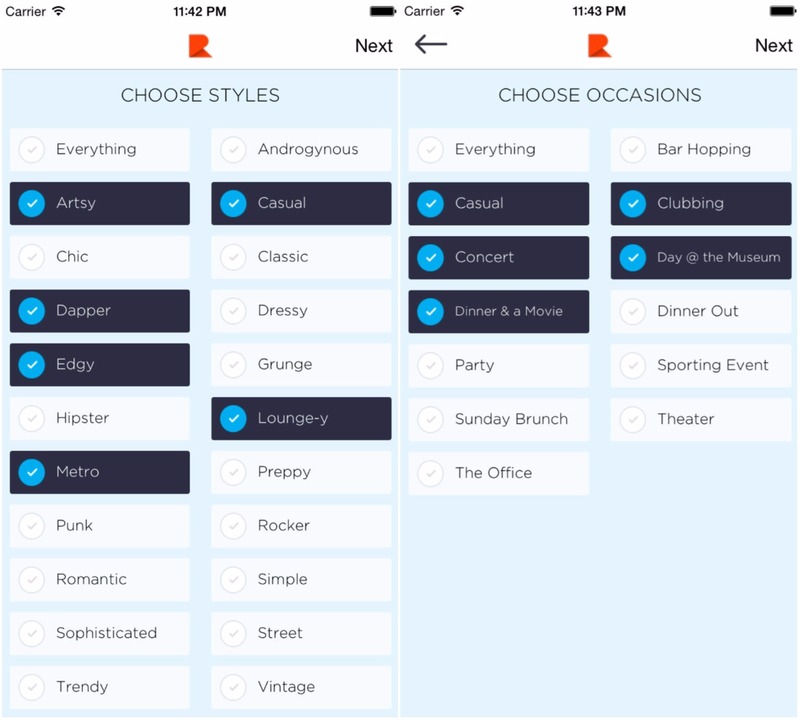 Categories range from “Dapper” to “Vintage,” and you can also choose “Everything” if you’d like. Next you choose the occasion you’re shopping for, like “Bar Hopping” or “Sunday Brunch.” Finally, you choose a category, like “Denim” or “Accessories” — or “Everything” again — and voilà! Shop to your heart’s content. 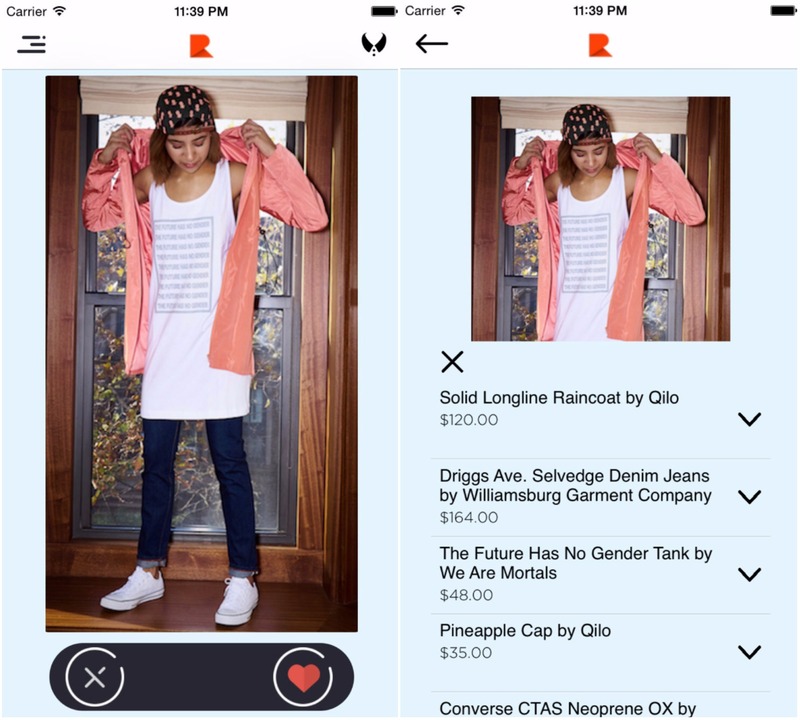 Once you choose the style(s) of clothing you’re looking for, RIGit has a Tinder-like function where you swipe right on looks that you like for more information. Although RIGit is only available on iOS at the moment, we hope it expands to Android soon. We commend April and Amy for creating the genderless shopping app and making a safe space where everyone can explore their own personal style.